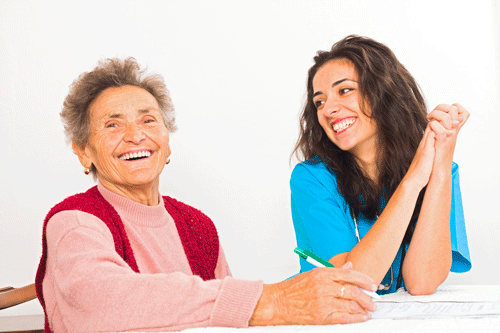 Bridgewater Care is committed to providing trustworthy and personalised care that enriches our Service Users' lives. ​At Bridgewater Care we strive to exceed your expectations, delivering home care and support which we ourselves would expect to receive, relieving families of the physical and emotional stress of the ongoing care of relatives and loved ones, and leaving you to spend quality time together which is more enjoyable and beneficial for all. More than anything else we truly understand the importance of enabling our Service Users to retain their independence. We believe that when individuals are most vulnerable because of illness, disability or age, they need kind and caring attention and deserve the utmost protection. Our trained and dedicated staff provide the best in home care service enabling our Service Users to remain at home safely and comfortably whilst giving family members peace of mind knowing that their loved one is in safe hands. 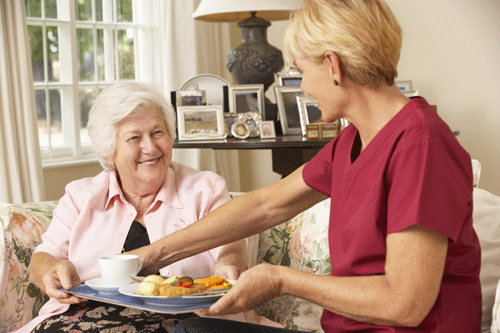 For older adults, home is the place where they like to be and where they have created cherished memories. But when aging makes life a little more challenging, just a little extra help can make all the difference. We can help make life easier for those dealing with the trials of aging or recovering from an illness or injury in the comfort of the home they love. We can bring a little extra support to partners who are the main Carers whether this is just around the house or taking over for short spells so they can have a well-earned break. Whether you or a loved one are recovering from a recent hospital stay, or just need some companionship from a caregiver, Bridgewater Care can help. In addition, we have recently introduced a ‘Home Again’ service - a 4 hour package to collect you from hospital, support you home and settle you in safely. Working exclusively with private clients in their own homes, we are a new and innovative care provider dedicated to meeting the needs of our service users and managing an efficient, reliable and happy workforce. We make no charge for advisory or initial assessment and would be happy to discuss your individual need. Our promise to you is to listen to your preferences and to suggest ways in which we can work together, keeping you or your loved one at home achieving personal goals and maintaining independence. Bridgewater Care Ltd is committed to supporting vulnerable adults so that they can continue their lives with dignity, independently within their own home, living a fulfilling and interesting life within the limits of their personal abilities and wishes. We are dedicated to meeting the needs of those people entrusted to our care providing the best possible service in a way which promotes independence, ensures dignity and aids emotional wellbeing. Our care is based on the principles of compassion, the dignity of the individual and a commitment to excellence.